Cupcakes2Delite came about in May 2011, when as a young 43 year old I wondered how I was going to leave my mark on this world. I am by nature creative and my passions in life, after my love for my family, are colour, art, writing and photography. A good friend suggested I start a blog with photographs of the cupcakes I was baking for friends and family on a small scale. Well from day one I was hooked, and the desire to bake and create and then photograph and blog my work became intense. I had so much to learn in those early days and I giggle now if I look back at photos and realise that what I thought was brilliant work then was the lowest stepping stone in the cake business. I researched techniques, went to the best teachers I knew of in South Africa and practised to improve with every order. I am a small one woman business owner and do everything from the glamorous sugar work to the unglamorous washing up of bowls and cake tins. My inspiration and desire to improve comes from my loyal clients. For me baking is not just a simple cake or cupcake, but needs to be inspired by the character of the person I am baking for, and their theme or colour scheme for their celebration. The more enthusiastic the client, the more excited and inspired I become to create the perfect celebration cake and cupcakes. This industry has proven to be dynamic, friendly and rewarding. The teachers who have taught me have done so with passion and enthusiasm, and my fellow bakers are never too busy to share advice, give constructive criticism and positive praise, often while baking as the world sleeps. My best rewards are the smiles on my clients’ faces, the tears of joy and their words of thanks to me. Sugar has become a way for me to not only delight my clients, but also a way for me to express myself and leave a sweet, tantalizing and passionate footprint on this earth. I am a forty-something South African homemaker. My passions in life after my gorgeous family are all things colourful and beautiful. I have 2 brilliant children and an amazing husband who love trying out all my new creations before they go out to friends and clients. Thanks guys for being my in-house critics. I may also be getting a little bit more well-known each day with 888 hits on my site as of today. Thanks to all those who take precious time out of their day to visit my blog. I love all the comments too so don’t be shy. Wow my blog is now 8 months old and I have really loved updating it with my new ideas, photos and orders for the people in my life who have inspired Cupcakes2Delite. Thank you to all my family and friends and all the bloggers who have taken the time to follow my blog – over 7 500 hits now! How awesome would it be to make 8 000 by Christmas to complete 8 brilliant baking and blogging months! Another great year has started with a flurry of cupcake orders and baking and I am delighted to say I reached my goal of over 10000 hits by end of Jan so thanks to all the cupcake lovers all over South Africa and all over the world who have visited my site. 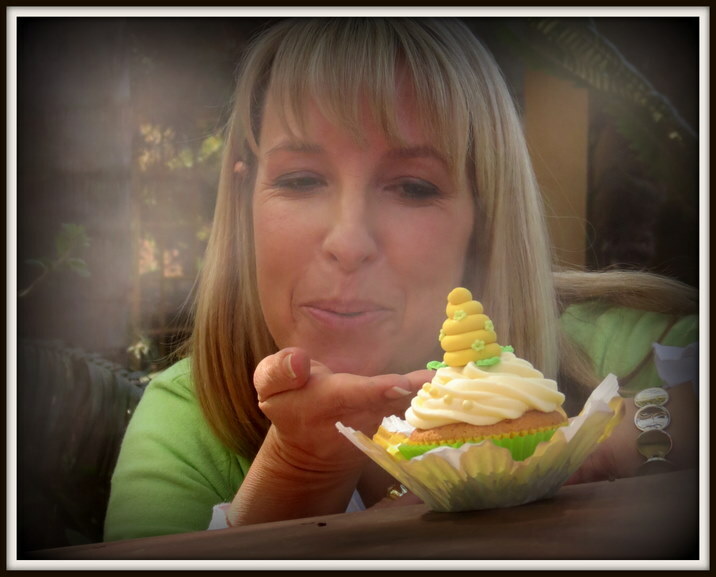 I am only inspired to bake more tasty cupcakes and share more photographs with you all. 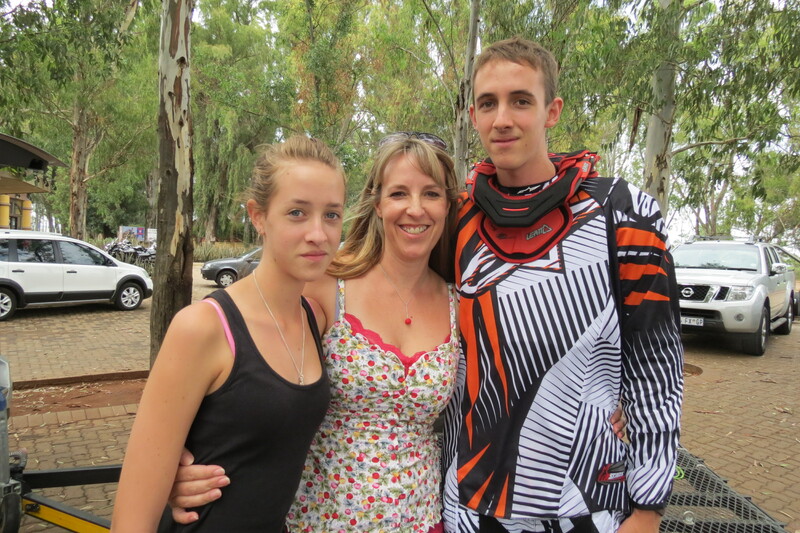 Here is a picture of me taking time out from baking to take part in my son’s passion in life – his off-road biking! 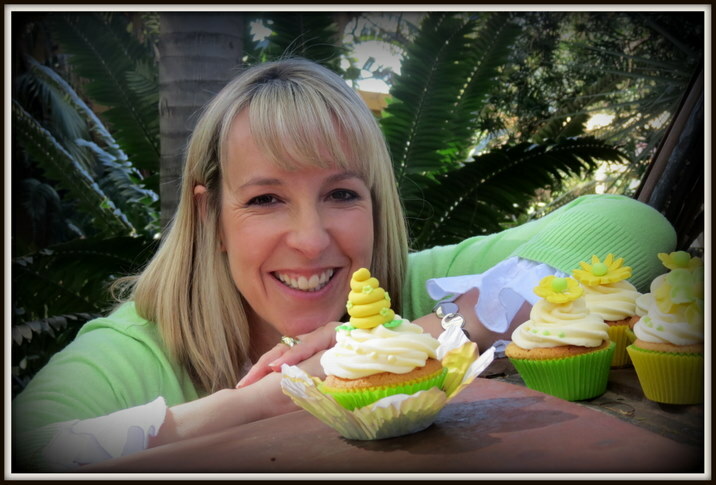 I entered my first competition the BBC Lifestyle Baking Mad Cupcake Competition with my Pistachio and Honey Cupcake. I wasn’t shortlisted but have a look at my post for the details of all the fun I had taking part. Can’t believe I have more and more hits daily and am now on over 43 000! This year is a quieter year with me having to take time off to recover from my foot op but I am back baking so can’t wait to share more cupcakes, experiences, ideas and photos with all my fans. I have just reached my 5th year blogging and baking and thank you to all my wonderful clients who continue to support me, I love being part of all your celebrations you gorgeous people. Thank you to all my followers who read my blog, love my photos and share my inspirational baking stories, I couldn’t do what I do with such passion if it wasn’t for you all and your sweet cravings! Ceire and myself, the 2 ‘sweet-tooths’ in the family! Hello my very clever sister-inlaw! Love your blog and Oh my word, the pictures are devine! Keep us posted! Wil do Gina and please subscribe to my blog then you will know exactly when I post anything new. Can’t wait to taste the fare!!!!! Well done – everything looks amazing. Thanks a mill. I am having fun with all the new ideas. I am so impressed! Combining 21st century technology and old fashioned home baking, but with flair! The site and the cupcakes look amazing. Thanks Helen, delighted you had a look at my blog. It is thanks to all the great ideas and inspiration I get from friends and customers that I have managed to experiment with so many different cupcakes. Let me know if you find anything interesting to try out. Hi Lindy, I am in Northwold not too far from Bryanston. I can deliver cupcakes but do charge a delivery fee. I don’t own a Cricut Cake machine and am still making most of my decorations by hand, but I have heard about the machine. Thanks babes, that is why I probably enjoy writing about the cupcakes as much as I enjoy creating them! Just need another 24 hours in each day! Thanks Matthew, and yes they are really tasty even if I say so myself! Cupcakes are beautiful… Your work is out of this world.. Your work is absolutely gorgeous. You are very creative. It makes me want to take classes too!….keep up all the beauty and wonderful talent that the Lord has given you. Your family is beautiful! Thank you Janice, I am always grateful to be able to spend so much creative time on something I love so passionately…and of course blessed with a beautiful and fun family!